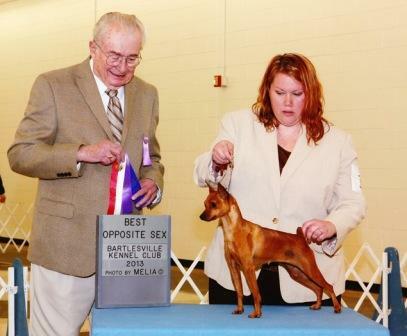 Queenie is from the great litter sired by Paxton out of Ruby-- Tommy, Cinnamon, Queenie and Roxie-- all will be Champions. Jamie is doing a great job with Queenie who now has both her Majors and even a BOB under Michelle Billings. 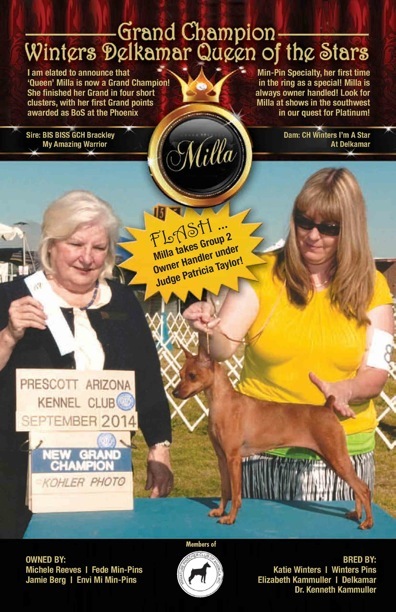 Queenie is now co-owned by Michelle Reeves in AZ., has finished her CH. and even won several big breed wins so far. She is specialed by Michelle.